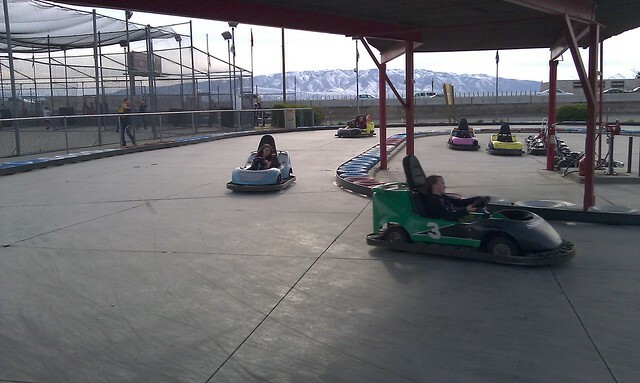 A week or so ago we saw a great deal at GroupOn for a year pass to Seven Peaks, the Trafalga parks, Orem Owlz baseball games, and Utah Flash basketball games. After a little deliberation, I ended up buying them and we picked our passes up at Seven Peaks yesterday. 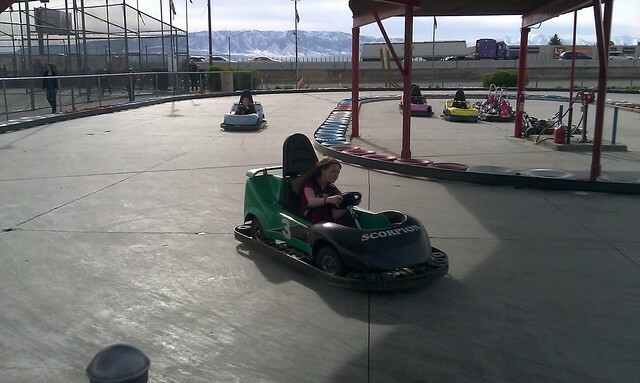 After we picked them up, we grabbed a cheap pizza and then went to Trafalga to ride the slick track go-karts and do some miniature golfing. 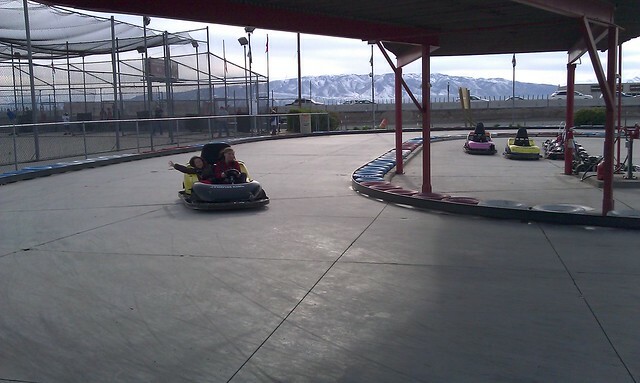 The kids had a ball riding the go-karts. None of them had ridden them before. Valerie and Scarlett got to ride their own and the other two had to pair up with us. I got some fun pictures of Becky and the girls, but I didn't take any pictures of us boys since I was driving. We ended up playing golf in the indoor course because it was a little cold outside and our kids hadn't dressed for it. The indoor course is pretty cool since they have added all the black lights and neon paint.